Here at Rite Price Roofing, we take pride in a job well done and strive to deliver top-notch results with every repair. Our family-owned business is proudly South Australian, and over the past 20 years we’ve been serving Adelaide and the surrounding area with effective professional repairs for an affordable price. 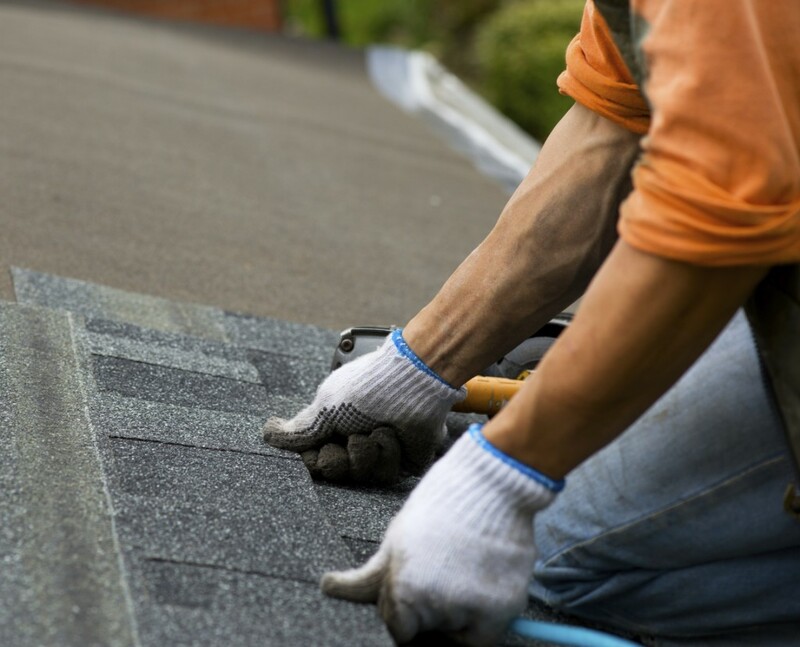 Our roofing experts offer an array of repair services that will have your roof looking like new. Whether your roof is in need of a quick clean & seal, a partial or full re-tiling or an overhaul from the base layer up, we can offer you quality workmanship that you’ll love. We offer a variety of roof repairs including roof restoration, ridge capping, roof leak repairs, roof maintenance, roof pressure cleaning, roof painting, and roof tile repairs. A roof restoration is a thorough and detailed process that will have your roof looking like new, with primers, sealers, and a gentle pressure wash giving your roof new life. Roof restoration is a great way to make your worn old roof shine like new. Worried about gaps in the joints where your roofing panels meet? You’ll want to consider a ridge capping. Ridge capping is a highly effective way to seal the ridges on your roof and protect them from pests and the elements while strengthening the joints that keep your roof together. Australia can get its share of poor weather, and when snow and rain build up on your roof, they can seep in through gaps and cause a troublesome leak. Roof leak repairs are a critical structural maintenance procedure after a heavy rainstorm, especially if your roof is more than a few years old and susceptible to damage. Roof maintenance is a great way to keep your roof in prime shape from season to season while also inspecting for more serious issues. With regular roof maintenance, you’ll be able to keep your roof clean and secure and deal with smaller problems before they have a chance to grow. Roof pressure cleaning is a fantastic way to clear the leaves, lichen, dirt, and mould that may be adhering to your roof. These pieces of debris may not seem like a serious issue, but if left to fester on your roof they could permanently stain the finish or in the case of mould and lichen cause rotting. With a roof pressure cleaning, you’ll keep your roof sparkling clean and be the envy of the neighborhood. Given its constant exposure to the weather, your roof is going to take a serious beating from things like hail, storm and even the sun. All of these environmental factors can contribute to problems like chipped or cracked paint. It may not seem like a serious problem, but if your roof paint is experiences problems like cracks or chips, then your roof is reducing your homes resale value and leaving your roof susceptible to damage. Roof painting won’t just make your roof look like new it will also seal your tiles or metal and protect them from chipping and rust. 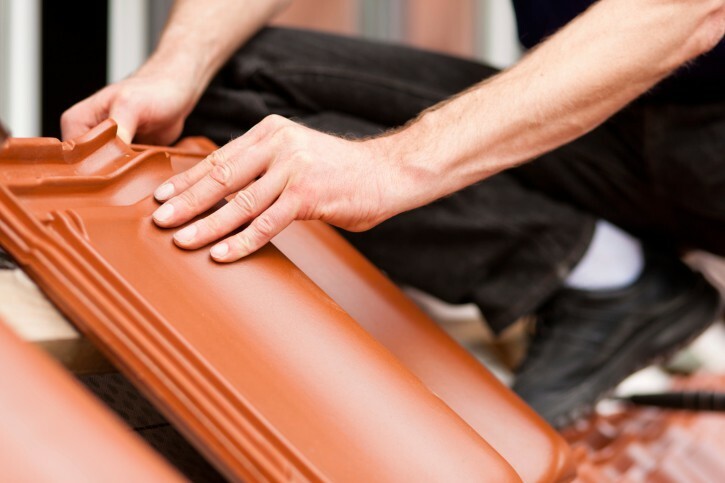 Roof tile repair is a great way to have your tile roof looking great if hail or wear and tear have damaged it and its a particularly useful process if you just need to replace one or two tiles instead of the whole roof. This repair involves simply removing and replacing the broken or cracked tiles on your roof with new ones. Roof restoration is a multifaceted process with several steps involved, each one of which treats a specific issue. The end result of this process? A fully restored roof that looks like brand new. First, the Rite Price Roofing team will perform a thorough inspection to identify every issue that is affecting your roof. During this inspection, we’ll make note of problems like broken tiles, loose flashing, leaky flues, rusted metal, and other issues that aren’t entirely obvious at first glance. Next, we’ll use a gentle pressure wash to remove dirt, debris, moss, grime, and dust from your roof. This step is a 100% natural wash that doesn’t involve any chemicals whatsoever just pure, fresh water. After we’re satisfied that your roof is clean, we’ll look at the ridge caps. If necessary, we’ll re-bed them in new concrete to create a straight line. We’ll re-point your roof’s ridge caps with pointing mortar and seal them to be watertight. If we find any broken tiles or loose panels, we’ll attach new panels or tiles. If you have a metal roof, we’ll apply a special anti-rust agent to the panels before fixing them to your home. For tile roofs, we use a gripped primer to ensure they adhere properly and a set of two or more acrylic coats to protect your roof from the elements. Our roofing professionals will do final Roof cleaning and inspection, addressing anything that may have been overlooked. Once we’re satisfied that your roof is fully restored, you’ll receive your warranty and service information. The ridge caps on your roof are the long, angled pieces that bond and protect the joints where the slopes meet at the highest points of the roof. Sometimes, weather conditions can cause cracks in the mortar that is used to hold ridge caps in place which means when the rainy season arrives, you’ll undoubtedly see leaks. Leaving a broken or cracked ridge cap as-is will undoubtedly result in damage to the interior surface of your roof, which is why it’s important to address this issue promptly. 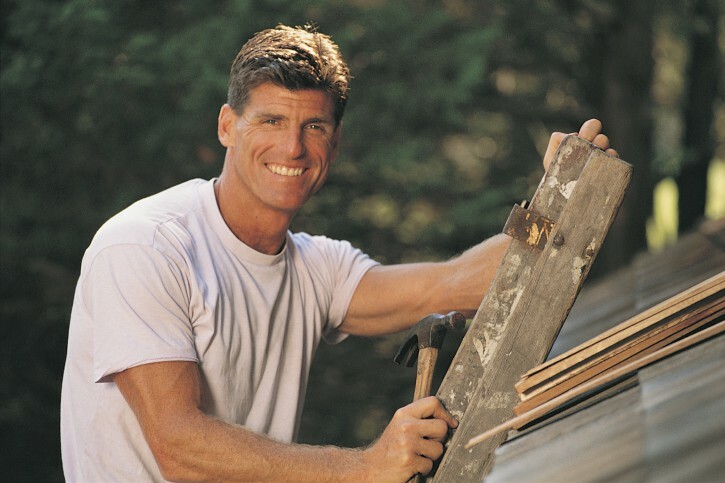 If your ridge caps are cracked, broken or deformed, your roofing contractor will recommend a ridge capping to replace the defective caps and seal your roofs joints. 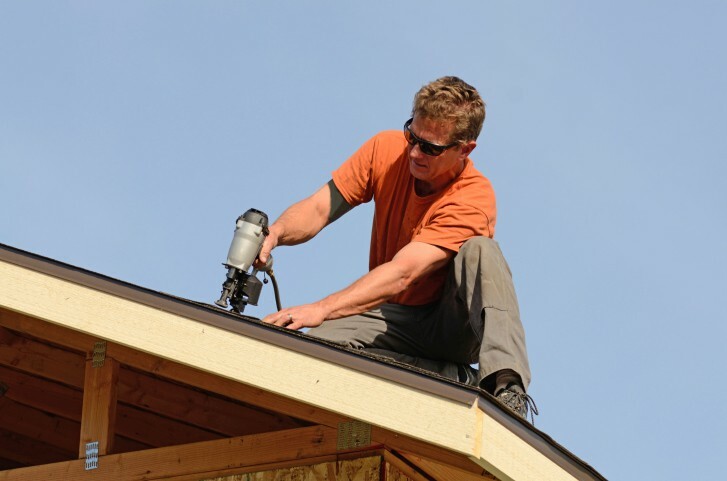 During a ridge capping, your Adelaide roofing professional will remove any cracked, broken, or deformed ridge caps. Next, your roofing contractor will re-bed any out-of-place ridge caps in a straight line and re-point them with pointing mortar. Any missing ridge caps will be replaced. 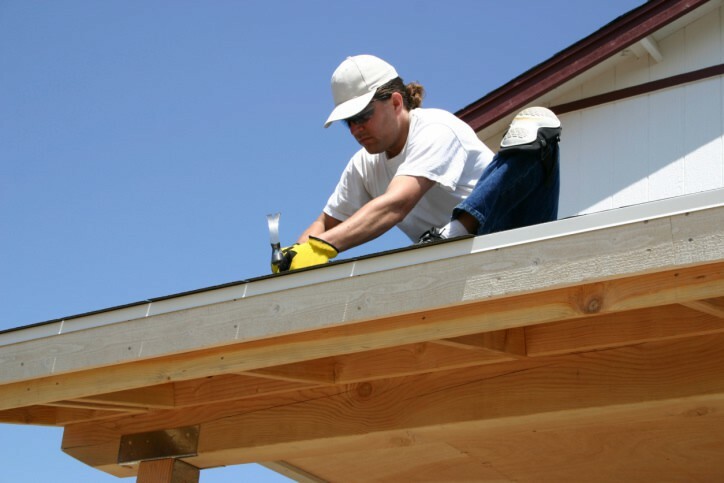 Once the ridge caps are secure, your roofing contractor will apply a coat of sealant or primer to the roof, plus a set of acrylic membrane coats to protect the caps. The final step is to inspect the new ridge caps for alignment and workmanship, and to ensure they’re securely embedded into the mortar. A roof leak is another minor roof issue that can cause serious problems. If left unchecked, a leaky roof could mean your attic becomes infested with rot, mould, and rust. Eventually, leaks could wear away at your roofs structural integrity and cause parts of it to collapse. That’s why its important to inspect your roof on a regular basis and have any leaks treated as soon as possible. The first step in repairing a leaky roof is to find the source of the leak. This isn’t always as easy as it sounds. Although some leaks can come from an opening like a light fixture or heat register, they might also pool onto a depression in your roof. Once you’ve found the source, do whatever you can to stop the leak. Next, you’ll want to inspect your tiles or sheets to determine if there’s any water damage. If you notice widespread water damage, you’ll want to open up your roof to take a look at the interior. 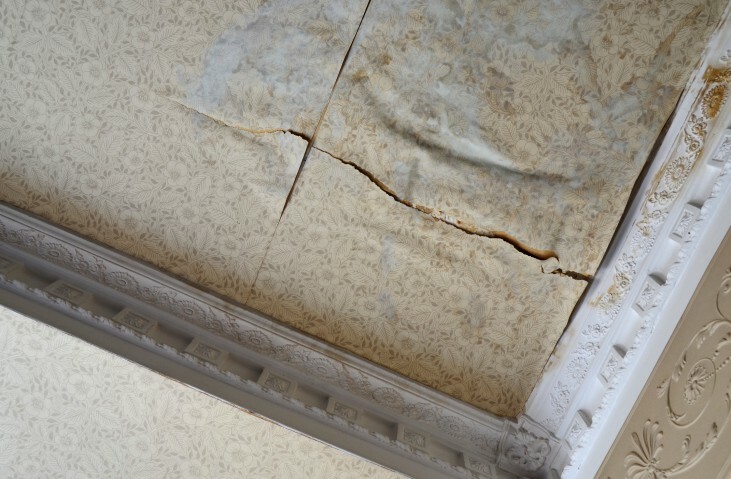 Look for warping, mould, water marks and other signs of a leak, and replace any materials that have been damaged. After you’ve treated the interior, you’ll want to deal with the exterior. If only a few spots are showing water damage, you can replace the tiles or metal sheets and then treat and coat them as you normally would. If, however, you see more widespread problems, you’ll need to talk to a roofing company about a roof replacement. Although it may be tempting to simply deal with problems as they arise, you’ll save a significant amount of time and money with regular maintenance and proactive inspections. Roof maintenance can extend the life of your roof by several years and give you peace of mind. The key to great maintenance is regular inspections. You’ll want to inspect your roof a minimum of twice per year once in the spring and once in the autumn. Ideally, though, you’ll inspect your roof four times per year that is, with the changing of every season. The best time to inspect your roof is when you clean your gutters. While you’re cleaning, you’ll want to look for problems like damaged, missing or warped tiles or sheets. Also pay attention for any build-ups of sticks, leaves, snow, algae, fungus, rust, water, or moss. Check the flashing to ensure that its tightly affixed to the roof if not, you’ll want to remove all of the caulk, scrub the area, and then re-seal the flashing. Finally, check around the base of any chimneys and around the joints. If you see any cracked mortar, you’ll want to re-seal them. Your roof is regularly exposed to all manner of potentially harmful elements, like dust, dirt, smog, pollutants, lichens, and even the chemical trails left by jets flying overhead. Metal roofs are somewhat immune to this debris the smooth surface prevents adhesion to the surface but tile roofs, both concrete and terracotta, have rough patches that make it easy for these foreign elements to stick to your roof. That’s why cleaning your roof on a regular basis is critical. When it comes to cleaning your roof, a high pressure wash is a great way to blast away any debris, old paint, lichens, moss, dirt, and other contaminants that may be causing problems. Ideally, you’ll want to do these pressure cleanings with a gentle solution that won’t damage your roof. Here at Rite Price Roofing, we use a water-only pressure wash with no added chemicals or soaps. This keeps your roof clean without leaving behind a chemical residue that may cause problems. After a high-pressure water wash from Rite Price, your roof will regain its old shine. If you see any mould, you’ll want to use a rooftop mould killing solution to dispose of it. If you have a wood roof, you’ll need to use a special solution for sensitive materials. Here at Rite Price Roofing, we have access to several great solutions for mould that won’t harm your roof. We can apply this mould-killer safely and efficiently. A professional roof cleaning is a fantastic way to clean your roof, and you’ll see a number of benefits. First of all, you’ll extend the longevity of your roof and delay replacement. Second, you’ll have peace of mind knowing that your roof is in great shape. And finally, you’ll see a big improvement in your curb appeal which is great if you’re looking to sell in the near future. If you’re in the process of doing roof repairs, you’ll want to finish the repairs with a coat of paint in order to protect your roof and give it some great curb appeal. If you’ve never painted a roof before, though, you’ll need to ensure you’re using the proper kind of paint and the proper technique. When painting your roof, make sure you use a waterproof heavy-duty acrylic spray paint. You should be aware that this kind of spray paint isn’t always easy to apply, and over-painting is a frequent consequence of misuse. If you want to make sure that you don’t get paint on any brick walls or siding, you should start the tiles by hand at the edges. If you live in an area that is subject to frequent heatwaves, you may also want to look into a heat-reflective paint. Traditional roof paint tends to crack or warp under severe heat, and a heat-reflective paint won’t just stand up to this punishment it will reflect the heat away from your roof to keep your house cooler. If you have a tile roof, you’re likely to see a few cracked or chipped tiles at some point. These broken tiles can be hazardous if a piece of tile falls off your home, it could hit someone standing below. That’s why replacing them the right way is critical. To do a tile roof repairs, you’ll need two pry bars and a replacement tile. The two pry bars will be critical for opening up an access point to get to the broken tile. First, you’ll want to slide a pry bar underneath the tile immediately above and to the right of the tile you’re replacing. Next, gently elevate the tile on top of your pry bar and the tile to its immediate left. Slide the second pry bar under the tile that is to the left of the tile you want to replace. At this point, you’ve created a means of accessing the broken tile. Now it’s time to gently remove the broken tile. Lift up the end of the tile and gently slide it out, then slide the new tile into place and remove the pry bars. There are lots of different issues that you may encounter when maintaining your roof, and any number of things can cause damage. Now that you know some of these basic repair procedures, though, you’ll be in a great place to deal with issues as they arise. Should you encounter a problem that you can’t solve, though, an experienced roofing company can help. 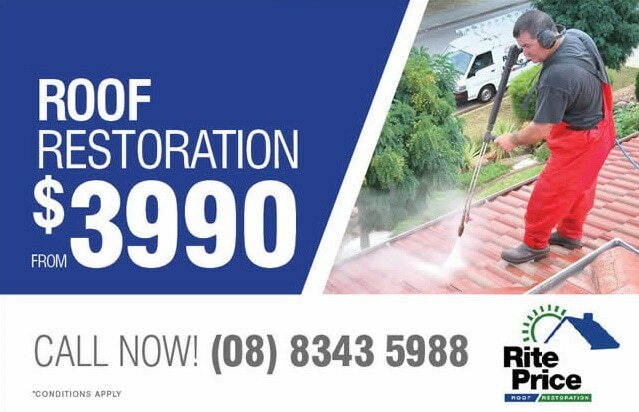 Here at Rite Price Roofing, we have 25+ years of experience in helping local Adelaide homeowners like you to repair or replace their roofs and gutters. Our expert staff can give you tried-and-true advice on your next roofing project, and we work with some of the best suppliers around to bring you top-notch materials. We specialize in doing repairs and replacements in hard-to-reach parts of the roof around chimneys, on two-storey homes, and in strange environments and we can give you a solution that works. Looking for the best roof repair Adelaide expert, but not sure what it’ll cost? Fear not. Our experts are happy to provide a FREE in-home consultation and quote. No matter how large or small the job may be, we can help you to understand what’s involved. We’ll work with you to ensure you get something that will last which is why we guarantee all of our products and labour for up to 25 years from the date of installation. And our 25-year history of excellent service and fantastic reputation mean you can trust us to get the job done right the first time around. If you’re ready to get the right repair for the right price, our team of tradespeople can help. We’ve seen almost everything, which means no job is impossible. Call Rite Price Roofing at (08) 8261 3941 to talk to a professional about roof repairs Adelaide and get your free quote from South Australia’s best local roofing team.